This is the historical centre on the island of Tiree. An Iodhlann - pronounced 'an-ee-lun' - is Gaelic for the stackyard where the harvest is stored. Lady Victoria, the eighth child of the eighth Duke of Argyll, became a frequent visitor to Tiree at the end of the nineteenth century. A committed Christian and philanthropist, she set up classes, soup kitchens for the hungry, and arranged treats for the young people of the island. She left the island for the last time in 1910 and died later that year at the age of fifty-six. Unlike her father and brother, the future ninth Duke, Lady Victoria visited the island frequently and spent time in people's homes. Her Gaelic became good enough to use while visiting. Many of the causes she espoused may have happened anyway without her lobbying, but her commitment to the island's day-to-day welfare was never in doubt, and she must have transformed the lives of a number of young people at that time, and helped to restore the reputation of the Argyll family after the Greenhill land raids of 1886. 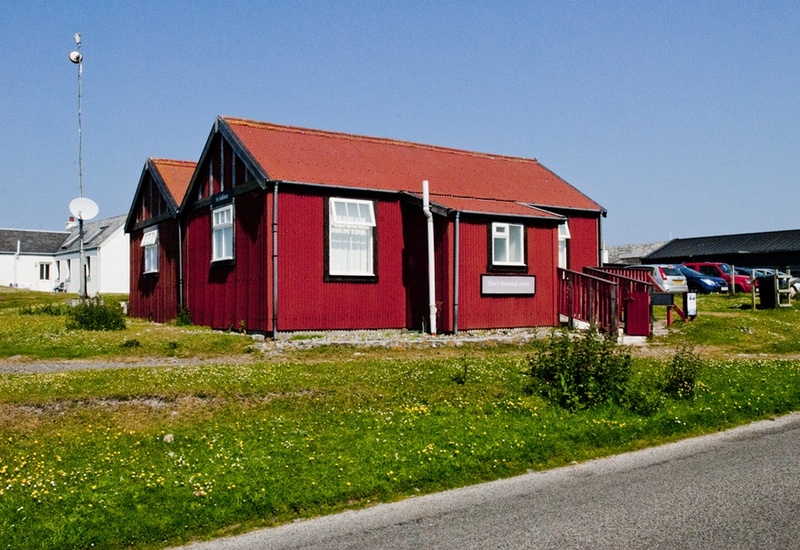 Tiree has been a tourist destination since the Dunara Castle, launched in 1875, offered forty cabins alongside its usual cargo on a meandering route between Glasgow and Skye. Plain postcards were introduced in 1870, but the picture postcard was only officially sanctioned by the General Post Office in Britain in 1894. This coincided with the growth of the seaside holiday to resorts such as Rothesay and Blackpool, and sending a postcard home became part of a regular summer ritual. The first two decades of the twentieth century was the 'Golden Age' of postcards. In the year 1909, 800 million postcards were sent in Britain. They remained popular until the turn of the twenty first century, when their use plummeted in the face of competition from mobile phones and social media. 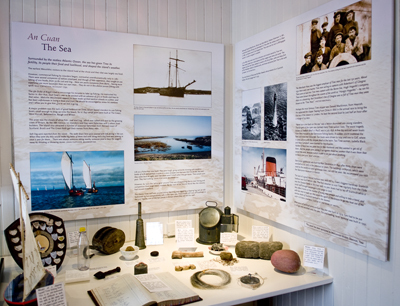 We have collected stories, books, poems, maps, voice recordings, photographs, letters, historical records and artefacts. In fact, we have built up a collection of 15 000 items, which are catalogued and traceable on our computer system. And we’re not finished yet! We feel we are putting together a huge jigsaw puzzle. We can see the outline and some bits are getting clearer, but we are a long way from completion. 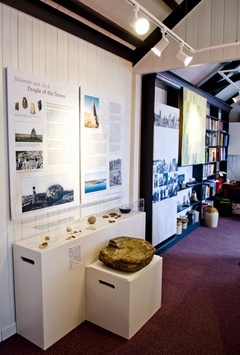 We employ a part time Archive Manager and have a pool of volunteers, committee members and experts who will do what they can to help you understand the island better. You are welcome to pop in for a few minutes to check the details of a bird you’ve seen or spend a day doing some serious research. We welcome students of all ages and stages. The more research about Tiree the better! 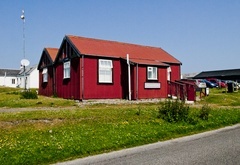 If you have something about Tiree you would like to share, do let us know. Even something as small as an old school meal ticket tells us a lot. And we’re happy to take a copy and return the item if you would prefer. 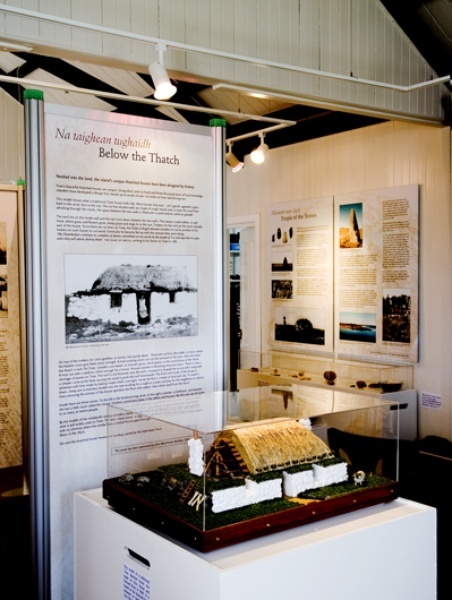 We have a year-round exhibition which gives a broad outline of our island’s history and we change a section every summer. We have a large library of books about the history and natural history of the island and the region. We have lots of Gaelic material too and will do what we can to encourage people to use the language.